When I’m ready to riffel, I go to the riffler jar. Here I keep these rather special little tools – they are narrow and elongated with a curved file surface at each end – used for filing. 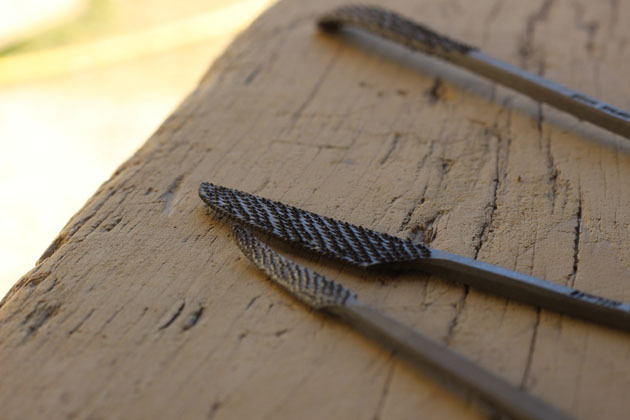 Riffling is a most enjoyable process (it is a lovely word too – I think comes from German riffel – to cut grooves into) where the file glides and scrapes over the stone surface to smooth, refine and shape to perfection. It is something I do before sanding begins. They seem to make the most beautiful and subtle of curves and I find are especially good for concave surfaces. You’ll see some have sharp points, and others round, some straight and others curved – all designed for different hollows, lines and forms and getting into the tiniest space and most awkward of shapes. For all its apparent simplicity, a little piece of steel with raised spiky burrs, it is extremely efficient. 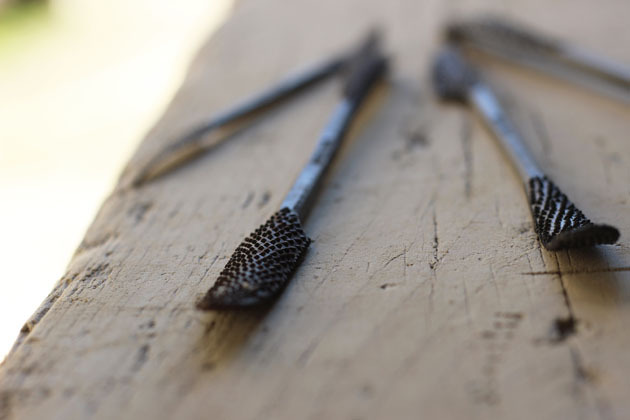 The spikes are hand ‘raised’, the steel punched upwards in neat rows by a skilled tool-maker, and the file designed to be used in one direction (pushing forward, not dragging back – to avoid blunting). There is just enough ‘bite’ in the riffler to shape the stone slightly if needed, but they work superbly well in beginning the finishing and smoothing of a sculpture. 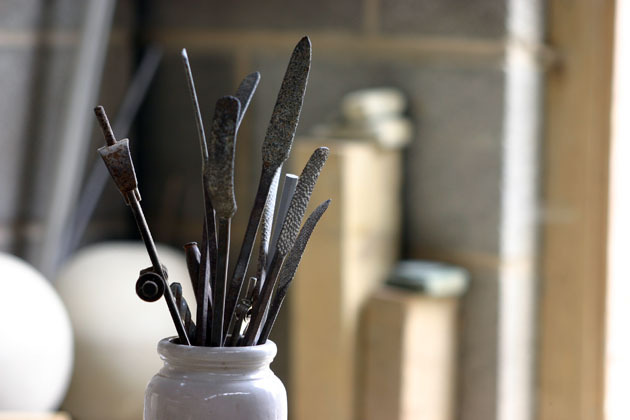 Do you have favourite specialist (or non-specialist) tool for making, (or drawing, or writing, or baking, or gardening – or whatever), that is gorgeous to use and ever so pleasing?